**Disclosure: Our family was provided a free screener of both movies in order to help facilitate the reviews. No monetary compensation was received. All opinions are of our own. I am super excited to bring to you the movie CAMP, where hope is found in unexpected places. 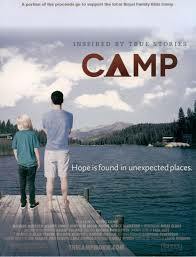 This Tuesday, August 27th, Roebuck Media will be releasing CAMP on DVD & Blu-ray. This is a film that tells the story of a greedy investment broker (Michael Mattera) that works at a summer camp for foster kids to help his career, but when he gets paired with an extremely troubled young boy, they both end up seeing the world very differently. CAMP is inspired by true stories from camps for abused and neglected children. This is an amazing movie. I cried, laughed and it gave me the inspiration to want to help. Foster kids have always had a special place in my heart, in fact someday, my husband and I hope to open up our home to children in need of a loving family. But I can say, that after watching this film, I am sure there are neighborhood kids, kids you see around that could always use some love! This film is rated PG-13 and I think that is only because there are a few scenes where child abuse is seen for a brief moment. We did watch this as a family, which I would recommend the first time around. 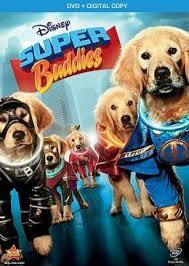 This is a really touching movie that I hope inspires and touches many. Royal Family Kids, Inc., a 501(c)(3) non-profit, is the nation’s leading network of camps for abused, neglected and abandoned children. By mobilizing local churches to sponsor a one-week camp for abused and neglected children ages 7-11 in their local community, RFKC gets caring adults involved in the lives of children who need them most. Each camp has two very simple goals: make positive childhood memories for the kids and let them experience unconditional love from an adult. Many volunteers who go to camp are inspired to become mentors, become foster parents and even adopt children who need a loving, caring family. For more information about Royal Family KIDS Inc. CLICK HERE.